Every now and then I come across boggers who speak vehemently against sewing for children. It is usually from people without children, who occasionally or once have been asked or suggested or decided to sew for children of family and friends. Usually their items are simple and don't require much thought at all .... and their gratefulness is lasting. They are very reluctant to stop wearing something that I made for them. 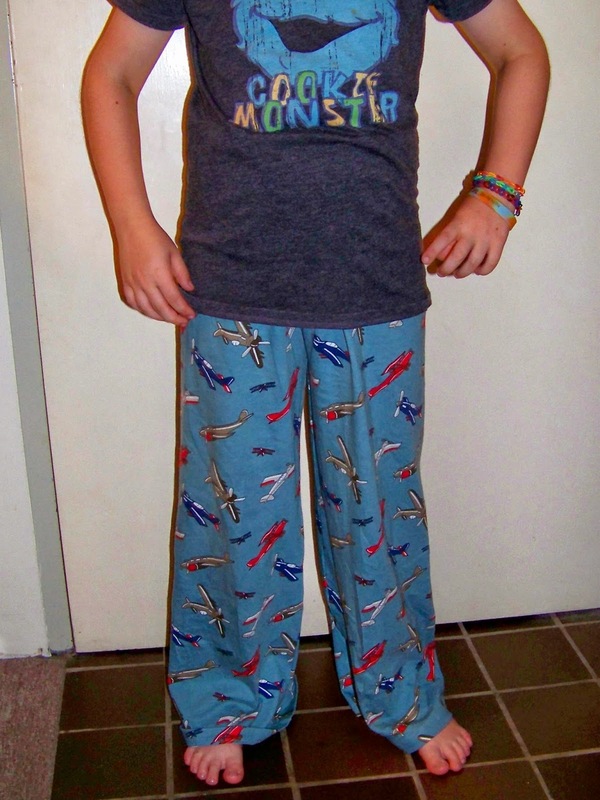 In fact, my son still wears his pyjamas I made 2 years ago, despite having seriously outgrown them. He even wanted to bring them to camp this year. 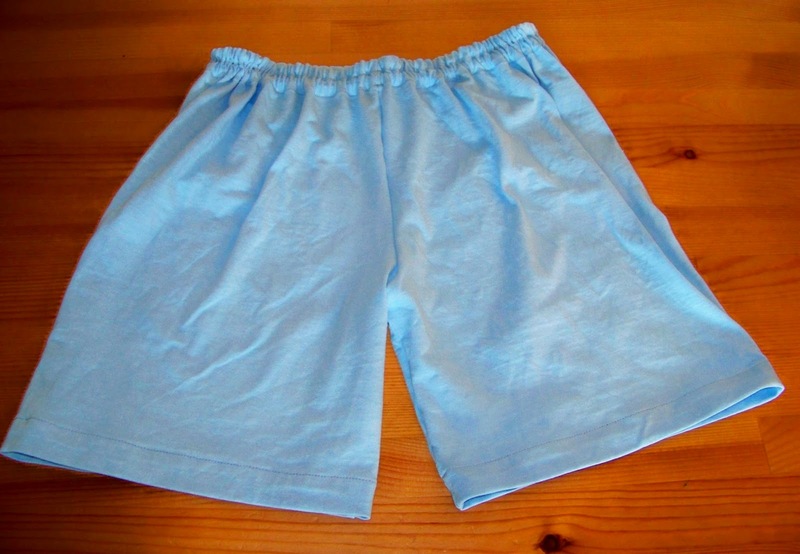 In that spirit I used some of the jersey mountain to make him 2 pairs of jersey sleep shorts and one long pair. 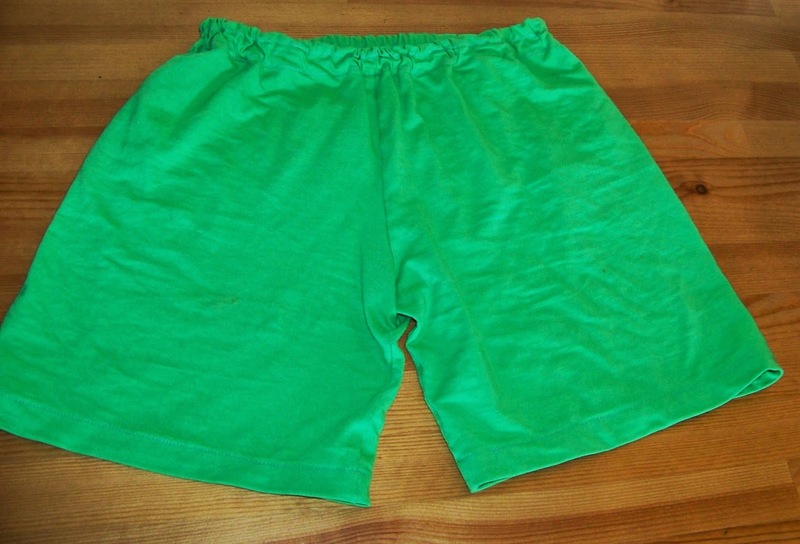 The shorts only take about 50cms of fabric, so those 2 pieces of fabric were remnants from Spotlight at a dollar each. The air plane jersey he picked out 2 years ago and I thought if I don't sew with it soon he'll be a teenager and just arch his eyebrow at the thought of air plane shorts/pants. Though I am only assuming this, having had no teenagers myself yet, it might well be that my kids will surprise me again. Hi! Just stumbled across your blog for the first time. I too am a Brizzy girl! 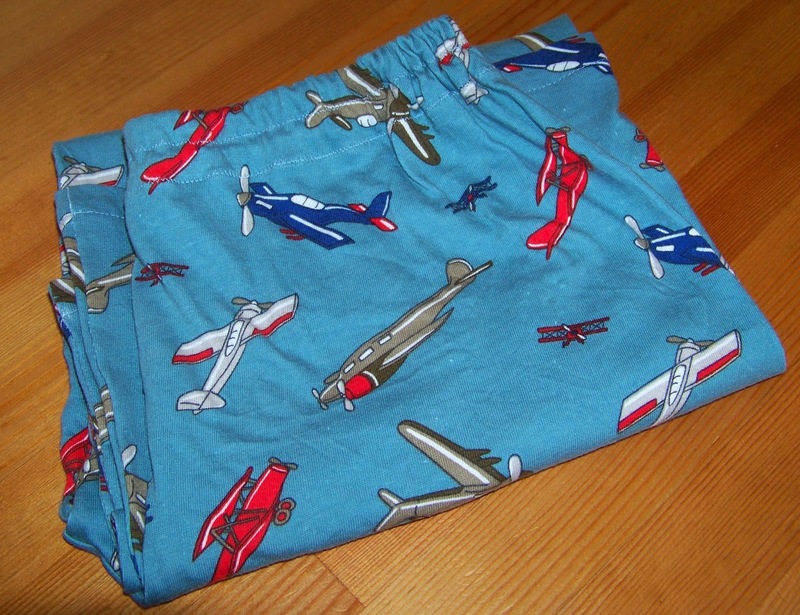 The aeroplane PJs are so cute. When my 2 were littlies, they loved what I made for them too & it's so gratifying! My daughter's main request was always that the skirt be "a twirly one, please"! Keep sewing for your young ones - they'll be grown in the blink of an eye!